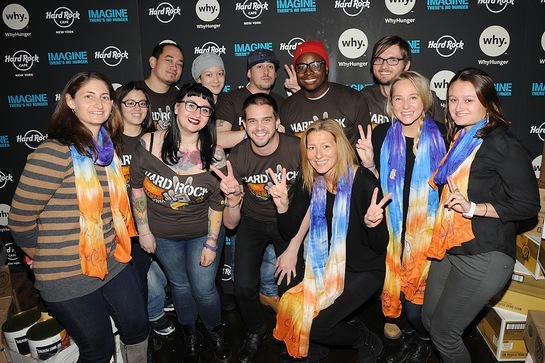 Earlier this week, Lissie, Hard Rock's IMAGINE Artist Ambassador, performed in New York as part of the launch of Hard Rock’s 6th annual “Imagine There’s No Hunger” campaign benefiting WhyHunger and its grassroots partners combating childhood hunger and poverty worldwide. At the event, Lissie helped collect non-perishable food donations for the New York Common Pantry with Hard Rock matching the donations raised. Lissie shows her support by collecting non-perishable food donations for the New York Common Pantry with Hard Rock matching the donations raised on Monday, November 25, 2013, in New York City.